A few weeks back, just as my training started to ramp up, I noticed I was having trouble getting out of bed. Now lets be clear, I normally have a healthy relationship with my pillow. I love spending quality time with it and detaching myself can be tricky even on the good days. But this was different. At first I thought it was simply training fatigue. It happens, I have been there before. My body asks for more recovery time to work its magic and build healthy muscle and I give my body what it needs. But this was different. I noticed even after a run the brain fog wouldn't clear. My coordination seemed to be getting worse. Coffee had zero effect. I would feel the need to sleep but I couldn't. Ick! Off to the doctor I trotted. It had been a couple of years since I had my bloods done so she ordered a new set rather than speculate about possibilities. The red text stood out glaringly on the results sheet. There nestled among the rows of printed health excellence was one monumental fail. It goes by the covert name of Fe. I haven't really taken supplements with any dedication before. I prefer to use whole foods to fuel my health and I have done that successfully for years. But my body's demand for iron has changed with age, and in practicality I am not willing or able to consume the amount of meat or veg options needed to build my iron levels back up to where they should be. 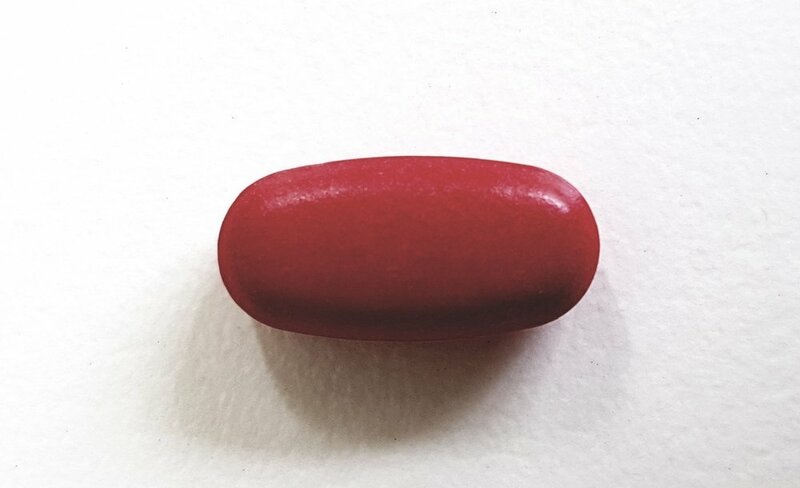 Under the guidance of my GP, these little red pills have become my companion for the next few months at least. People frequently ask me what they should be eating during training, or to support their running. The short answer is 'I don't know'. It is different for everybody and it constantly changes over time as my recent experience demonstrates. Anyone who says they have the magic formula is being misleading. The only suggestion I can offer is to each a rich diversity of healthy food and learn to listen to your body. If you have questions, seek the input of an appropriately qualified healthcare professional.